Nikon Inc. announced eight new COOLPIX cameras that marry design and function to create high performing, stylish, easy-to-use cameras. These cameras include four Style Series cameras; one Performance Series camera; and three Life Series cameras. All eight COOLPIX cameras incorporate Nikon’s world-class NIKKOR lenses, delivering extremely accurate detail and brilliant color, as well as Nikon’s EXPEED™ digital image processing concept, which ensures high-quality pictures with stunning color and sharpness. New features across the COOLPIX line include; Smart Portrait System, which ensures a bright smile being captured without blinking; Enhanced Face-priority Auto Focus, which can detect up to 12 faces-per-image and adjusts brightness on the subject’s face to ensure well-balanced exposure of a whole picture; and Scene Auto Selector which automatically selects the most appropriate mode according to a picture-taking situation. These features take the guess work out of photography and help ensure every picture is a beautiful picture. 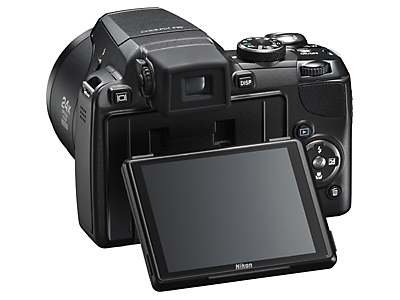 •	COOLPIX S230: Innovative Touch Screen Design on a 3.0-inch high resolution LCD; 3x Optical Zoom; One-touch Focus and Zoom, Write and Draw Functions;10.0 megapixels; Scene Auto Selector; Quick Retouch; Smart Portrait System; Blink Proof; 4-Way VR Image Stabilization; ISO 2000 capability; Available in five colors (Plum, Jet Black, Night Blue, Gloss Red and Warm Silver). •	COOLPIX S220: Slim body design (18mm) with 2.5-inch LCD; Scene Auto Selector; 10.0 megapixels; 3x Optical Zoom; Smart Portrait System; Blink Proof; Quick Retouch; 4-Way VR Image Stabilization; Available in six colors (Plum, Graphite Black, Cobalt Blue, Aqua Green, Warm Silver and Magenta). •	COOLPIX S630: Pocket-sized camera with 12.0 megapixels; 7x Optical Zoom; 2.7-inch LCD; Sport Continuous Mode for shooting up to 11 frames-per-second (fps)*; Scene Auto Selector; Quick Retouch; Blink Proof; 4-Way VR Image Stabilization; ISO 6400 capability**; Available in five colors (Jet Black, Royal Purple, Midnight Blue, Ruby Red and Titanium Silver). •	COOLPIX S620: 12.2 megapixels; 4x-wide Optical Zoom; Incredibly fast start-up time of 0.7 seconds; Subject Tracking; Scene Auto Selector; Quick Retouch; Blink Proof; Motion Detection; 4-Way VR Image Stabilization; ISO 6400 capability full resolution; Available in five colors (Noble Purple, Jet Black, Dusty Pink, Sky Blue and Rich Pearl). 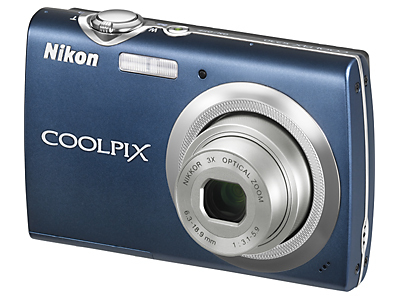 The new COOLPIX S-Series cameras will be available nationwide February 2009. The S220 will retail for $149.95, the S230 will retail for $229.95, the S620 will retail for $269.95 and the S630 will retail for $279.95. With the new COOLPIX P90, part of the flagship Performance Series of cameras, Nikon introduces the ideal camera for photo enthusiasts, travel photographers and consumers with more advanced photography skills. The camera features a 24x Optical Zoom, covering wide angle to super telephoto [26-624mm (35mm format)], a new 3.0-inch vari-angle LCD monitor with tilt function and anti-reflection coating, and 15 fps*** high-speed capability. Additional features of the P90 include a 4-Way VR Image Stabilization System; ISO 6400**** capability (3mp); electronic viewfinder; Scene Auto Selector; Quick Retouch; and Distortion Control. These features combine to enable consumers to enjoy photo shooting in a wide range of situations. 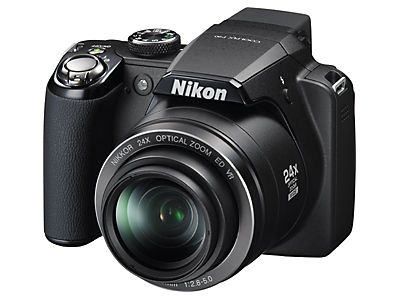 The Nikon COOLPIX P90 will be available nationwide March 2009 and will retail for $399.95. •	COOLPIX L100: 10.0 megapixels; Large, bright 3.0-inch high-resolution LCD with anti-reflection coating; Scene Auto Selector; 15x Optical Zoom covering wide angle to super telephoto [28-420mm (35mm format)]; Sport Continuous Mode can take pictures up to 30 consecutive frames at 13 fps*****; 4-Way VR Image Stabilization System; and Smart Portrait System. •	COOLPIX L20: 10.0 megapixels; Large, bright 3.0-inch LCD monitor; 3.6x zoom; Easy Auto Mode with Scene Auto Selector; Smart Portrait System; Motion Detection; 5 color options for special effects; and powered by (2) AA batteries; Available in Deep Red. 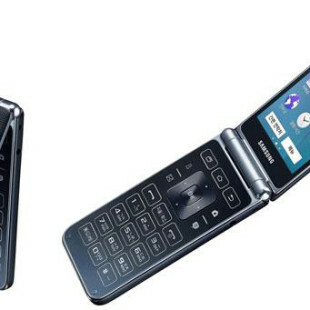 •	COOLPIX L19: 8.0 megapixels; Large, bright 2.7-inch LCD monitor; 3.6x zoom; Easy Auto Mode with Scene Auto Selector; Smart Portrait System; Motion Detection; 5 color options for special effects; and powered by (2) AA batteries; Available in Bright Silver. 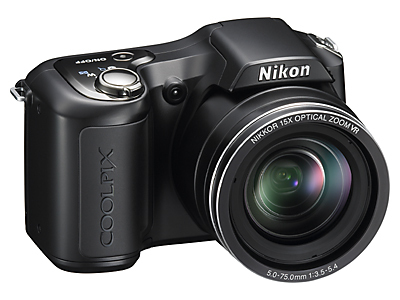 The new COOLPIX L100 camera will be available nationwide March 2009 and will retail for $279.95. 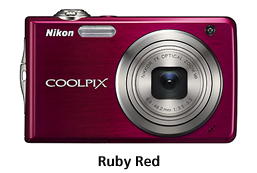 The new COOLPIX L19 and L20 cameras will be available nationwide February 2009 and retail for $109.95 and $129.95 respectively. 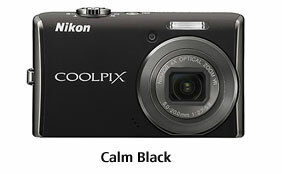 For more information about the new COOLPIX cameras, please visit www.nikonusa.com.